Dozens of Palestinians were injured, and others suffered from excessive tear-gas inhalation in clashes that broke out with Israeli forces throughout the West Bank. Six young Palestinians were shot with live bullets at the entrance of al-Jalazun refugee camp northeast of Ramallah. Locals said that Israeli forces at the entrance of the camp fired live bullet and rubber-coated steel bullets at a group of Palestinians injuring six. 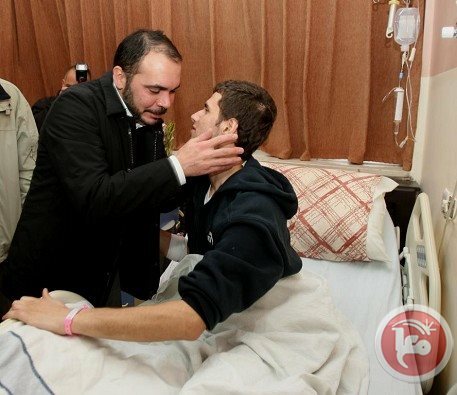 They were all taken to Palestine medical complex in Ramallah. In Bilin village, dozens suffered from excessive tear-gas inhalation as Israeli forces dispersed a weekly protest. Israeli forces fired rubber-coated steel bullets, stun grenades, and tear gas at protesters as they neared their lands close to Israel’s wall. Israeli forces dispersed another protest in Nabi Saleh village and prevented villagers from reaching their lands, which face the threat of confiscation. Locals said that Israeli forces fired rubber-coated steel bullets, stun grenades, and tear gas at protesters, causing dozens to suffer from excessive tear-gas inhalation. 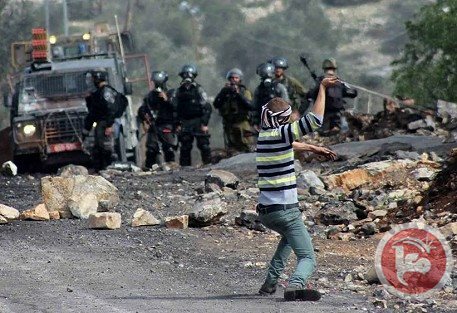 In Kafr Qaddum, two people were injured with rubber-coated steel bullets and dozens suffered from excessive tear-gas inhalation in the weekly protest. Coordinator for the popular resistance committee in the village Murad Eshtewi said that Israeli forces fired tear gas, stun grenades, and rubber-coated steel bullets. Abd al-Rahim Eshtewi, 40, was shot with a rubber-coated steel bullet in the neck and was taken to Darwish Nazzal hospital in Qalqiliya, while Aws Abd al-Raziq Amer was shot in the leg with a rubber-coated steel bullet. Dozens others suffered from excessive tear-gas inhalation. Israeli forces opened fire at Palestinian protesters in the northern Gaza Strip on Friday, injuring nine people, witnesses said. 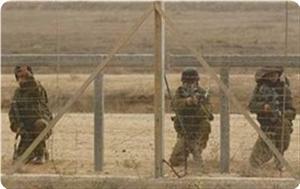 They opened fire east of Jabaliya in north Gaza, injuring one person seriously. Seven other people were lightly injured after being hit by tear gas canisters. The wounded were taken to Kamal Adwan hospital for treatment. An Israeli army spokeswoman confirmed the shooting but did not say if anyone was injured. "Hundreds of Palestinians were throwing stones to try to damage the security fence between Gaza and Israel," said the spokeswoman. 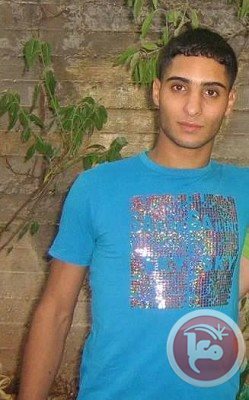 On Thursday, Israeli soldiers shot dead Ibrahim Suleiman Mansour, 26, and injured another man after shooting him in the foot. A Ma'an reporter said that the two men were collecting rubble near the border when they were shot. According to UN's OCHA humanitarian agency, 17 percent of Gaza's total land area and 35 percent of its agricultural land were within the buffer zone as of 2010, directly affecting the lives and livelihoods of more than 100,000 people. Two young Palestinian football players shot by Israeli forces last month have learned that they will never be able to play sports again due to their injuries, according to doctors. Jawhar Nasser Jawhar, 19, and Adam Abd al-Raouf Halabiya, 17, were shot by Israeli soldiers as they were walking home from a training session in the Faisal Hussein Stadium in al-Ram in the central West Bank on Jan. 31. 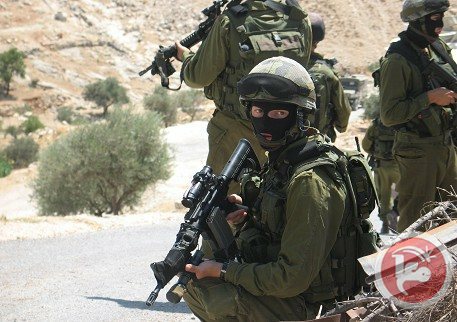 Israeli forces on Thursday raided the village of Deir Nidham north of Ramallah and detained a young man and assaulted a middle-aged woman. Obeid Naseruddin al-Tamimi, 22, was detained and Muna Mahmoud al-Tamimi, 45, was beaten during the raid. 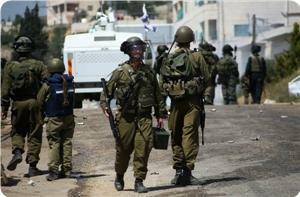 Clashes subsequently broke out between the raiding Israeli forces and young Palestinian men from the village. Israeli forces fired tear gas during the clashes, causing several protesters to suffer from excessive tear gas inhalation. Deir Nidham is a small village completely surrounded by areas under Israeli military control. It is located directly beside the Hallamish settlement, close by to Nabi Saleh, which is the site of frequent protests against the Israeli occupation. Only reunification of Gaza and the West Bank under the PA can pave way for progress towards peace, Robert Sherry says. The ceasefire agreement between Israel and Hamas is eroding, UN Middle East Peace Coordinator Robert Serry said in a press statement on Wednesday. "I am worried we are seeing more and more signs that the understanding on a ceasefire reached in November 2012 is eroding in both of its main requirements – the end of all hostilities and the opening of the crossings for people and goods," Serry said. The Egyptian-mediated agreement came on the heels of the eight-day 2012 Operation Pillar of Defense in which more than a 100 Palestinians and six Israelis were killed. "During the past two months, we have seen more rockets being fired at Israel, border incidents, and Israeli retaliatory operations causing death or injury to civilians. The United Nations condemns the rise in violence, and all parties must act in accordance with international law," Serry noted. Serry asserted that "only the reunification of Gaza and the West Bank under the legitimate Palestinian Authority, based on the PLO commitments, can pave the way to a durable solution for Gaza, as part of political progress towards peace." At the same time, Serry decried the deteriorating social and economic conditions in the Gaza Strip as a result of continued closures of border crossings. UN construction work in the Strip has suffered delays as a result of the closures, and over 20 projects remain stalled since November 2013. "The closure of illegal tunnels has not been turned into an opportunity to increase the entry of construction material through legal crossings," Serry said. "I sincerely hope that the Israeli authorities will fully adhere to their commitment to reopen Gaza for construction materials for UN projects," he added. The Special UN coordinator did note the recent decision to allow 1,000 tons of cement and other construction materials for flood relief into Gaza as a positive step. In 2010, Israel eased the restrictions to allow imports for internationally supervised projects. But in October of last year, it halted the entry of all construction materials after discovering a concrete-lined tunnel along the border. Israel said the tunnel was to be used by militants for attacks and abductions of Israelis – a claim that Palestinian armed groups later confirmed. Israeli forces fired tear gas canisters into four schools in the East Jerusalem neighborhood of Silwan on Thursday, witnesses said. 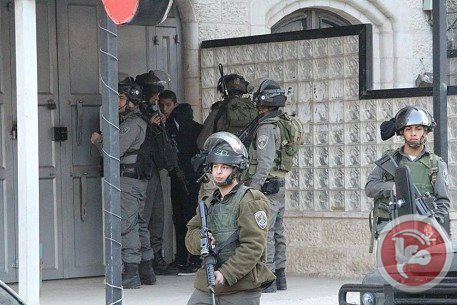 Dozens of school children suffered excessive tear gas inhalation after Israeli forces deployed in the Ras al-Amoud quarter of the neighborhood. Clashes broke out after soldiers began harassing students and inspecting the ID cards of local residents. Several schoolboys and girls required treatment after inhaling tear gas. Israeli army Wednesday conducted a large-scale military training on land belonging to Palestinians in a populated area in the northern Jordan Valley, forcing around 18 families out of their homes, according to witnesses. Around 100 Palestinians, mostly women and children, were forced to leave their homes for six hours while the Israeli army conducted intensive military exercises using heavy artillery. To be noted, Israeli army controls large areas in the Jordan Valley and uses them as military bases for military training throughout the year. The Israeli army stormed, on Monday, the city of Jenin in the northern West Bank, raiding a Palestinian-owned house overlooking the city and, then, turning it into a military outpost, according to security sources and witnesses. They said that soldiers occupied the rooftop of a local house under construction, where they set up an army observation post, WAFA has reported. 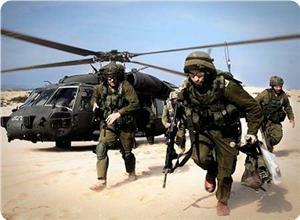 Forces also conducted a large-scale search campaign,deploying soldiers in several areas of Jenin. In related news, WAFA reports that Israeli army soldiers, on Wednesday, took over the rooftop of a boys’ school in the neighborhood of Wadi Ennassara, in Hebron, and turned it into a an outpost, according to witnesses. They said that heavily armed Israeli soldiers broke into the school while students were on campus for break, spreading fear among them and disrupting the educational process. Four Palestinians were injured after being shot in clashes with Israeli forces that broke out in Qabatiya in the northern West Bank on Wednesday afternoon. Local sources told Ma'an that clashes erupted after Israeli soldiers raided the area near the Shuhad junction and dozens of Palestinian youths responded. Palestinians threw rocks and empty bottles, while Israeli forces fired live bullets and tear gas, injuring four. Mohammad Kamal Tazaza was shot in the hand, Ali Taysir Zakarneh and Nizaruddin Khoza'a were shot in their feet, and Samer Asasaa was hit directly by a tear gas canister, according to local sources. 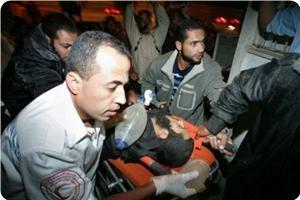 All of the injured were taken to Jenin hospital. The Israeli forces arrested Wednesday six Palestinians in West Bank and two others from the Jerusalem area, injuring an elderly during their arrest, security and local sources said. In Jerusalem, Israeli police and General Security Service (shabak) arrested a father and his son aged 43 and 20, the latter is an ex-detainee, after breaking into their house in a brutal manner in Al-Bustan neighborhood in Silwan, injuring the grandmother during their arrest. Head of the Jerusalemite Detainees’ Families Committee, Amjad Abu ʻAsab, said that the grandmother sustained severe injuries after an Israeli forces officer slammed the door on her hand, which called for her immediate admission into a hospital. 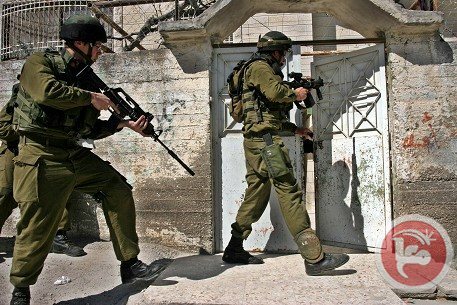 Soldiers also arrested four Palestinian workers after breaking into a building they dwelt in in Bartaʻa Al-Sharqeyya (Eastern Bartaʻa), located to the southwest of Jenin. 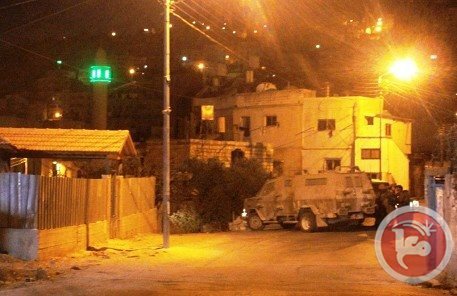 Meanwhile, soldiers arrested two people after breaking into and searching their houses in Beit ʻAwwa and Al-Fawwar camp, located respectively to the southwest and south of Hebron. They also set up checkpoints at several locations in the Hebron area, stopping vehicles and checking the passengers’ identity cards. They also broke into several residential neighborhoods as well as the commercial center in the City of Hebron, inspected people’s IDs, and searched their vehicles. Israeli forces detained two Palestinians in East Jerusalem early Wednesday, a committee spokesman said. Amjad Abu Asab, spokesman for a Jerusalem-based committee that represents prisoners' families, told Ma'an that Israeli troops and intelligence officers overnight raided the Beir Ayyoub area of the Silwan neighborhood and detained a young man and his father. 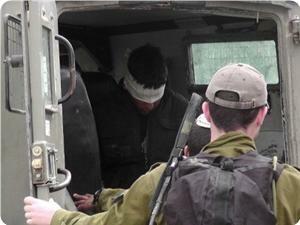 Abu Asab identified the detainees as 20-year-old Abd al-Rahman Shaloudi and his 43-year-old father, Idris. The Israeli soldiers "savagely" broke into their house and damaged its interior, Abu Asab said. He said Abd al-Rahman's grandmother was taken to hospital after one of the soldiers slammed a door on her hand. The young man recently spent 16 months in Israeli prisons, and was released on Dec. 22, 2013, Abu Asab said. A spokesman for the Israeli police did not answer calls seeking comment. Israeli warplanes launched a series of mock air raids on a number of areas in the Gaza Strip on Wednesday morning. The PIC reporter quoted eyewitnesses as saying that the mock raids were launched off the coasts of Gaza and over its southern, central, and northern areas. The reporter said that Gazans got used to such kind of raids; however, security experts told the reporter that the raids were a kind of military intelligence act. They called for extreme caution as the Israeli army wished to recognize means of evacuating security positions and government buildings during raids and where officials are taken. Israeli occupation forces (IOF) arrested a Palestinian student from Tobas after shooting and wounding him on Tuesday. Local sources told Quds Press that the soldiers fired at Mahmoud Daraghme while on his way out of his home and injured him in his feet then took him away despite his injury. Daraghme, 29, works in the Quds Open University’s cafeteria and studies in it. He was previously detained by Palestinian Authority security apparatuses. Meanwhile, an IOF force broke into the home of MP Mohammed Al-Tal in Daheriya town, south of Al-Khalil, at noon Tuesday but he was not at home. Tal told the PIC reporter that he received a phone call from commander of the force telling them that he was waiting for him at his home. He added that the commanding officer interrogated him in front of his home and threatened him of arrest in the event he launched any activity. Israeli soldiers assaulted a Palestinian youth in the northern West Bank late Tuesday, his father said. Abd al-Latif al-Raee told Ma'an that he and his 19-year-old son Adham were walking in their privately-owned field in southern Qalqiliya when Israeli troops attacked the young man. "They assaulted my son before my eyes," al-Raee said. The soldiers "dragged him between bushes where they brutally beat him." After detaining Adham for more than an hour, the soldiers released him, al-Raee said, adding that his son was bleeding badly and that he was assaulted for no reason. Al-Raee said he filed a complaint at a military liason office. Three Palestinians were injured with rubber-coated steel bullets and dozens of others suffered from excessive tear gas inhalation in clashes with Israeli forces in Beit Ummar north of Hebron. Spokesman for the popular resistance committee in Beit Ummar Mohammad Ayyad said that clashes broke out in the village during a funeral. Ayyad added that Israeli forces were deployed at the entrance of the village, and near the cemetery where the funeral was held. They attempted to arrest a 12-year-old boy and clashed with residents who tried to stop them. Israeli forces fired tear gas, stun grenades, and rubber-coated steel bullets, he said. Mohammad Ali Khalil Sabarneh, 30, was detained during the clashes. Ahmad Mohammad Awad, 16, was struck with a rubber-coated steel bullet on his left brow, and he was taken to Aliya hospital in Hebron. Two others were shot with rubber-coated steel bullets in the feet and were treated on the spot. 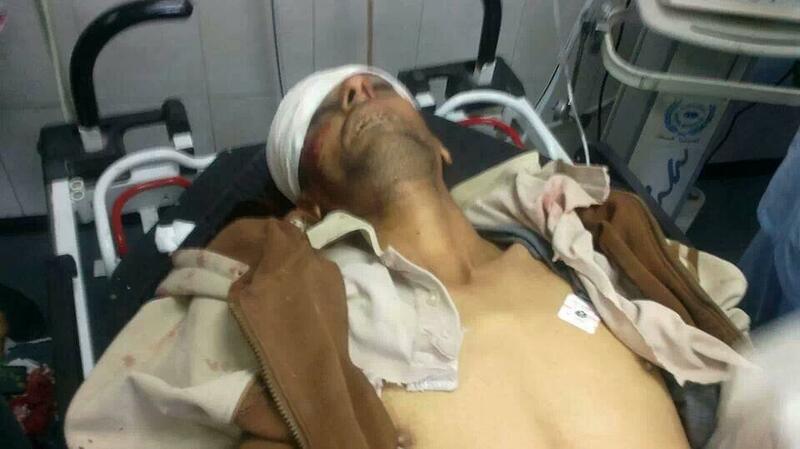 Abdul Aziz Ikhleel, 48, was shot with a rubber-coated steel bullet in the head from the range of 10 meters as he was returning home from work on a tractor, Ayyad said. He was taken to al-Hikma medical complex, then transferred to Aliya hospital for treatment. 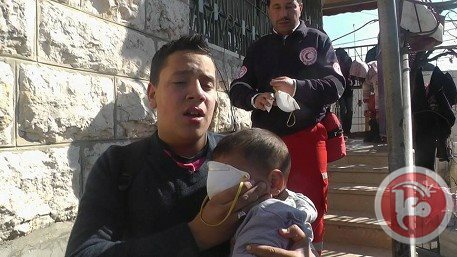 Israeli forces also fired a tear gas canister into the house of Nazih Mohammad Hussein Alqam, causing family members including a toddler to suffer from inhalation, he said. Israel's military did not immediately return phone calls late Tuesday. Israeli Occupation Forces (IOF) have launched Tuesday raid and arrest campaigns in different parts of occupied West Bank. Local sources told the PIC reporter that dozens of Israeli troops stormed Nablus late yesterday amid heavy gunfire. The soldiers were deployed in different neighborhoods in the city, they added. IOF soldiers broke into a number of houses and conducted search operations till Tuesday morning hours. Many arrests were reported, the sources said. 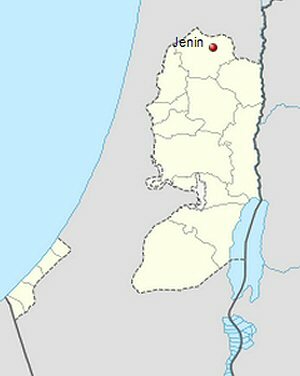 In a related context, Israeli forces launched at dawn today a raid on Jaba village south of Jenin, causing chaos in the village. Three youths were arrested from their homes and a fourth was summoned after breaking into his parents’ house. Local sources stated that dozens of military vehicles stormed the town at dawn and searched the villagers' homes. The sources added that IOF soldiers stormed a bakery and arrested its owner. On the other hand, Israeli forces arrested at dawn today three Palestinian youths in Bethlehem city and nearby Obaidiya village. Two youths were arrested during the raid on Obaidiya that came as part of Israeli arrest campaign waged on the village for the past month unabated. IOF soldiers also arrested Nasr Abu Hadid, a senior member of the Islamic students bloc in Al-Khalil University, after searching and ransacking his family home. Abu Hadid was released from Israeli jails only a few months ago. IOF soldiers arrested Bilal Al-Rejoub from Dura town near Al-Khalil at dawn Tuesday after searching his home and terrorizing women and children inside it. Palestinian chief negotiator Saeb Erekat expected that Israel would launch an offensive against Gaza to frustrate Kerry’s peace plan with the Palestinian Authority. Erekat said in a statement to Chinese news agency “Xinhua” that Israeli prime minister ordered to intensify raids into al-Aqsa Mosque compound to frustrate Kerry’s peace plan. “If Netanyahu believes that Kerry’s plan is an internationally accepted plan on the basis of international law, he will stage a war against Gaza to fail it” Erekat added. Erekat described the recent Israeli threats against Gaza as dangerous, calling the international community to draw attention to the besieged territory and what may happen to it. 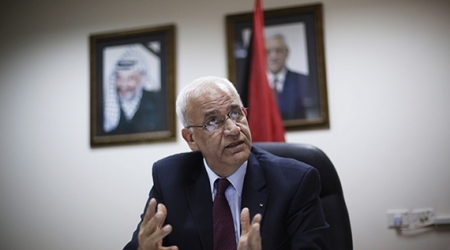 Regarding Kerry’s framework expected to be announced, Erekat said it has yet to come out and that the Palestinian side is committed to his positions on the peace process based on the international law. Since the late December 2013, Israeli military has escalated its operations against Gaza, carrying out several airstrikes and assassinations which killed six Palestinians and injured dozens of citizens. Israeli senior officials repeatedly threatened to attack Gaza in recent days. Israeli airstrikes rocked northern Gaza City and al-Nuseirat refugee early Tuesday, causing damages, security sources and locals said. Three air-to-surface missiles struck the Abu Jarad militant base in Gaza City, causing a fire to break out, the sources said. Heavy damages, but no injuries, were reported. Additionally, Israeli warplanes fired missiles at an open area near Gaza's power plant north of al-Nuseirat refugee camp in the central Gaza Strip. Israel's army said in a statement that a rocket fired from Gaza late Monday landed in an open area in southern Israel. It caused no damages or injuries, according to Israeli news site Ynet. 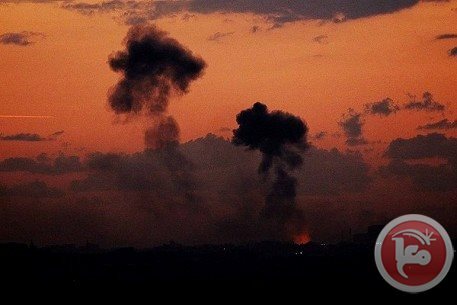 The army statement said that "in retaliation the IAF targeted an underground rocket launcher in the central Gaza Strip and a terror site in the northern Gaza Strip." "Direct hits were confirmed," the statement said. "The IDF targeted sites that were part of the infrastructure utilized to terrorize Israel and its civilians," the statement quoted an IDF spokesman as saying. "We will continue to act against the threats originating from Hamas' Gaza Strip." Israeli forces killed six Palestinians and injured 41 in attacks on Gaza in January, Gaza's Ministry of Health spokesman Ashraf al-Qidra said in early February. Palestinian militants, meanwhile, have fired dozens of rockets toward Israel, all of which have all landed in unpopulated areas with no injuries reported. Hamas and Israel have maintained a fragile ceasefire since November 2012, when Israeli forces launched a major assault that killed around 170 Palestinians. 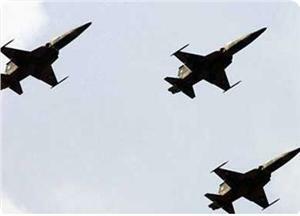 Israeli warplanes launched two raids on a deserted area and a security position in central Gaza Strip at dawn Tuesday. The PIC reporter in the area said that the first raid targeted Abu Jarad security position to the north of Nuseirat refugee camp and the second targeted an abandoned area near the power station. He noted that the raids were coupled with intensified flights of warplanes over various areas in the besieged enclave. The two raids follow Israeli claims that rockets from Gaza slammed into a vacant area in the western Negev. The Israeli army retaliates to any rocket fired from Gaza. Senior Israeli officials had threatened over the past few days to launch a war on Gaza in the event rockets continued to slam into southern Israeli areas from the enclave.